Today, the chief hindrance in the path of economic development in most countries is without a doubt corruption. In order to combat and even detect the corruption in India, responsible and efficient working of the Comptroller and Auditor General of India must be ensured. The CAG is an officer of the Constitution and not an officer of Parliament, even though he/she exclusively serves Parliament and State Legislatures. Thus, the Comptroller and Auditor General is a dignitary who occupies a unique place in Indian democracy. given a dual role: one as an agency that functions along with the legislature and ensures that the executive obeys with the laws passed by the legislature and enhances the executives accountability to the legislature; another as an agency that ensures obedience by subordinate authorities with respect to the rules and regulations issued by the executive. The CAG must find the black spots and lapses in the governance of any government as well as commercial organization and report to the President of India. The CAG’s office also provides technical guidance and support to some local bodies to boost their answerability. Chapter V of the Constitution of India and The Comptroller and Auditor General's (Duties, Powers and Conditions of Service) Act, 1971 explains the appointment, salary duties, powers, etc. of the CAG. The CAG is the one dignitary, who sees on behalf of the Legislatures that the expenses voted by them are not exceeded or varied and that the money expended was legally available for and applicable to the purposes to which it has been applied. Unlike any other civil servant, he has no chief. The Comptroller and Auditor General is the Administrative Head of the Indian Audit and Accounts Department. His administrative power will be governed by rules made by the President, in consultation with the former. Nothing can restraint the CAG's discretion or judgment in any manner on matters which he/she may bring to the notice of the Legislatures in the discharge of his/ her duties. The oath of office under the Constitution requires him/her to uphold the Constitution and the laws and to discharge the duties without fear or favour, affection or ill-willl. The Constitution assures to the Comptroller and Auditor General constitutional independence and has also placed him beyond fear or favour of the Executive, whose transactions he is expected to audit. The inspection of Annual Accounts and Audit Reports by the Parliament alone would be an insurmountable task, as it calls for expertise in the subject and it would command too much burdens on the inadequate time available to the Parliament for discussion of issues of national importance. Therefore the Parliament and the State Legislatures have, for this purpose, constituted specialized Committees like the Public Accounts Committee (PAC) and the Committee on Public Undertakings (COPU), to which these audit Reports and Annual Accounts automatically stand referred. The examination of public enterprises by the Committee takes the form of comprehensive appraisal or evaluation of performance of the undertaking. It involves a thorough examination, including evaluation of the policies, programmes and financial working of the undertaking. The objective of the Financial Committees, in doing so, is not to focus only on the individual irregularity, but on the defects in the system which led to such irregularity, and the need for correction of such systems and procedures. The Comptroller & Auditor General of India plays a crucial part in the working of the financial committees of Parliament and the State Legislatures. The CAG has come to be acknowledged as a 'friend, philosopher and guide' of these committees. The role of CAG and audit committees should not be mixed up as CAG looks at audit from an angle of accuracy. The CAG inter alia plays an essential role in federal financial relations. Article 149 states of the Constitution states “The Comptroller and Auditor General shall perform such duties and exercise such powers in relation to the accounts of the Union and of the States and of any other authority or body as may be prescribed by or under any law made by Parliament…” By virtue of Article 150, the design of the accounts of the Union and the State Governments are prescribed by the President based on the recommendations and advice of the CAG. In addition to his audit responsibilities, the CAG continues to compile the accounts of the State Governments except Goa. The accounts of Union Territories of Chandigarh and Dadra & Nagar Haveli are also compiled by the Department. It is the duty of the Comptroller and Auditor General to prepare, from the accounts, Appropriate Accounts, showing under the respective heads, the annual receipts and disbursements for the purpose of the Union, of each State and of each Union Territory having a Legislative Assembly. The CAG authorizes the salary and allowances to officers of a few State Governments as well as the payment of pension and other retirement benefits to the employees of most of the State Governments and Union Territories and maintains their Provident Fund Accounts. The Audit of the CAG is divided into two streams i.e. Performance Audit and Regularity (Compliance) Audit. Audits of civil departments, railways and defense are conducted as per the direct mandate in the constitution and relevant provisions of the DPC Act; the Commercial Audit is conducted under the provisions of Company Act. Apart from Financial Audit, Compliance Audit, Performance Audit and EDP Audit, the Comptroller and Auditor General of India undertakes Special Audit at the request of the Government. The Comptroller and Auditor General's (Duties, Powers and Conditions of Service) Act, 1971 authorizes the CAG to lay down for the guidance of Government departments, the general principles of Government accounting and broad principles applicable to audit of receipts and expenditure. The CAG also plays a fiduciary role in federal financial relations. He determines and confirms the net proceeds of taxes levied and collected by the Union but assigned to the States or distributed between the Union and the States. · All the Union and State Government departments and offices. Subsidiary accounts kept in any Government Department such as those related to trading, manufacturing, profit and loss accounts and balance sheets, etc. Public commercial enterprises controlled by the Union and State governments, i.e. government companies and corporations. Accounts of bodies and authorities receiving loans and grants from the Government. 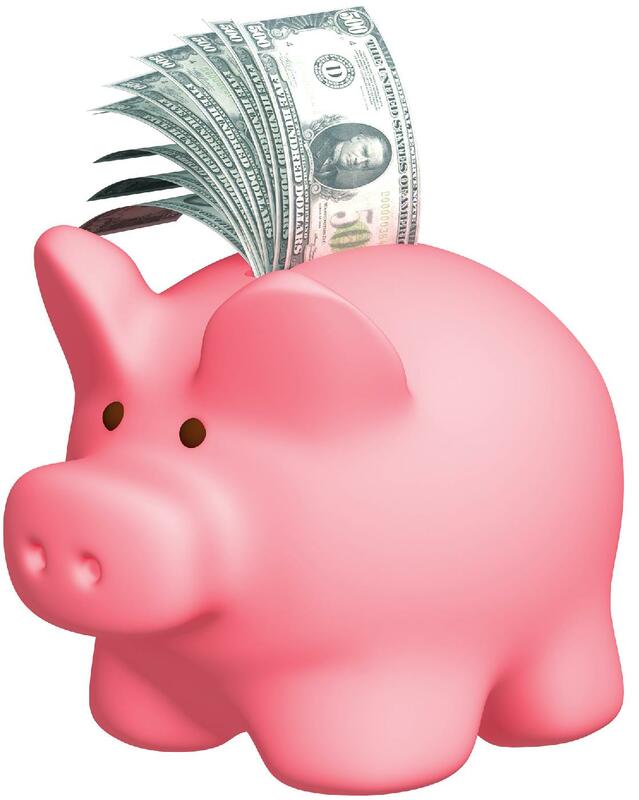 Organizations financed from the Consolidated Funds of the Union and the States. The auditor of a govt. company is appointed by the Central Government on the advice of the CAG, who directs the manner in which the accounts of government companies shall be audited. The audit report is presented before the CAG, who analysis it, adds some of his input or modifies it and comments on it. The comments of the CAG along with the audit report are submitted to the AGM of the company. The audit is conducted as per the procedure laid down by the CAG. It is desirable that the audit committees should be formed in Government companies as per the recommendations of the Blue Ribbon Committee to perform a distinct role. 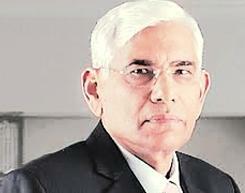 Mr. Vinod Rai (born on 23.05.1948) took over as the Comptroller & Auditor General of India on 7th January 2008 and is the 11th CAG of India. “We can no longer afford to deceive ourselves of the fact that it is the duty of the government of the day to fight corruption and indeed see them fail”, Mr. Vinod Rai said while addressing a hall of CEOs at the annual conference of the Confederation of Indian Industry. Mr. Rai has, in an attempt to wake up the countrymen, that the time has come for the vast population to come together and fight corruption. Initiating anti-awareness campaigns would keep the pressure on the government and would truly help in eradicating corruption from the country. The public should insist on sincerity from the government and rightly proclaim their important status in the affairs of the state. The bureaucratic activity at that time gave indications that there was quite a bit of pressure on Mr. Rai to dilute the 2G report but he held fast, merely asking his people to check for unnecessarily harsh or unfair language. The report ripped apart the government. The CAG report said the ultimate loss to the exchequer could be as high as Rs. 1.76 lakh crore. The CAG indicated that there has been a change in method of governance since the initial years of independence. The earlier model which involved government for fighting and cleaning the country’s corruption has failed. But now there has been a paradigm shift in the manner of governance and it is only the vigilant and socially active citizens who can clean the country’s corruption. The civil society groups need to actively participate and create a revolution in the country against corruption. The time is changing and it is the Indians who can make it happen. The civil society needs to be on the forefront and lead the country for a better future ahead. Also, President Patil has emphasized that public financial accountability and probity were essential for rooting out corruption. In accordance with the recommendations of the 11th Finance Commission, CAG has been entrusted with Technical Guidance & Supervision/Support (TGS) in a majority of the States. As of 30th April, 2009, entrustment of TGS to CAG has been received in one Union Territory and 22 states out of the 24 States where 73rd & 74th amendments are applicable . 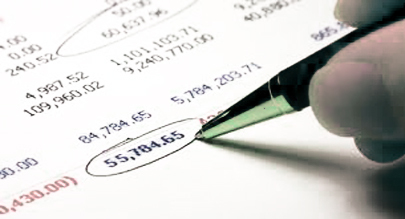 In 2002 the task force of Comptroller & Accountant General prepared a report in which it made some very significant recommendations such as (i) uniform formats for financial statements and budget (ii) formats for determining the cost of important utilities and services like water supply etc. and showing this information by way of disclosure to the accounts (iii) significant accounting policies to be followed by ULBs as per model accounting policies need to be disclosed in a separate schedule forming part of the accounts and (iv) initiate steps for smooth switch over to the double entry accrual system of accounting. By 2007 the CAG’s office simplified the accounts and budget formats for PRIs. A sub-committee was formed to further simplify these formats. The simplified accounting formats along with list of Codes, Functions, Programmes and Activities for PRIs recommended by them had been accepted by the Technical Committee in January 2009. The Comptroller and Auditor General of India plays a unique role in Indian democracy, by upholding the Constitution and the laws in the field of financial administration. The CAG acts as a watchdog to see that the various authorities under the Constitution function in regard to financial matters, in accordance with the Constitution and the laws of Parliament and appropriate Legislatures and Rules and Orders issued thereunder. She/he is neither an officer of Parliament nor a functionary of Government. The CAG’s office is one of the four pillars of a democratic constitution having equal, if not more, importance to the other 3 pillars, i.e. executive, legislature, and judiciary. For the purpose of securing top standards of financial integrity of the administration and watching the interest of the tax-payer and also for purposes of Legislative control, the CAG office is kept as independent as is required to function smoothly and without bias. The role of the Comptroller and Auditor General of India is so important, that she/he might be the only Government office that can maintain financial stabilization and prevent major financial crises, and by doing so, lead the country towards the path of economic as well as social progress.